We have a large retail area and carry many hard to find hair and skin care products. If we are not carry a product that you are currently looking for or need, give us a call and we will order it for you. We are usually able to get most products within three to four days of order. We carry an extensive line of hair, nail and skin care products. In addition we also have a private label line of hair care products. Our private line offers over 20 products that have proven to be very successful in meeting the needs of our clients. Experience the difference by using the fine products we use everyday and make available for purchase by our clients. We can recommend just the right product to meet all your beauty needs. It’s a 10 hair care products give exceptional results from a line of multipurpose products, all while reducing the number of products you need to keep on your shelf. Each and every It’s a 10 product is formulated to deliver a combination of 10 benefits that used to take numerous products to achieve. Now you can enjoy shine, moisture balance, and healthy movement with just one product. Angel Haircare Co Ltd supplies professional hair products and cosmetics to international professional distributors, together with innovative education. Best prices and success are guaranteed. Backscratchers Salon Systems is a fiberglass product that is lightweight, strong and durable. It can be effectively manipulated to create superior nail products. Backscratchers Fiberglass System is formulated to be safe for both skin and nails. Doesn't matter if you are a Dumb Blonde or a Mastermind, a Manipulator or a Creative Genius... we have shampoos, conditioners, and styling tools to complete you lifestyle. Silk Therapy Hair Care products work with the power of heat. Silk proteins are activated to penetrate and provide protection while improving the condition of hair for healthier hair with incredible shine. China Glaze is a revolutionary nail color system for professional application. For over 30 years, Cirepil is recognized worldwide as the finest in depilatory products presenting the professional with a full range of solutions for every hair removal need. 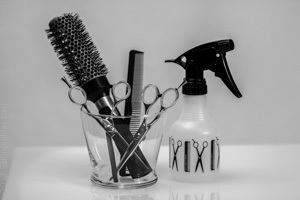 DermOrganic Laboratories, Inc. was founded by Stephen Mastey in 1996 with the goal of providing safe, natural and unique products to salons and stylists. DermOrganic strives to develop products with only the most safe and natural ingredients available to minimize the occupational hazards of long-term exposure to cosmetic ingredients in the salon. DermOrganic products are made with 100% certified Organic ingredients wherever possible. DermOrganic ingredients are vegetable sourced. DermOrganic contains no animal by products and has never been tested on animals. Matrix Essentials is the salon professional's chemical service support partner. From properly preparing hair before a service to keeping a client's chemically treated hair looking naturally beautiful longer - reach for Essentials. It's the logical extension of every salon service. Farouk Systems' uniqueness comes from being a company owned and operated by a team of hairdressers that include over 1,500 educators in over 60 countries. 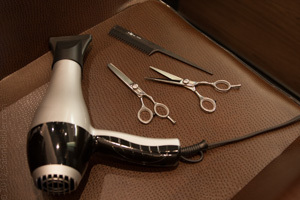 Products range from shampoo and hair essentials to professional salon tools. Johnny B is a professional haircare product line made specifically for those that love that “classic” look. Our extensive array of pomades, gels, and sprays are sure to keep you completely satisfied and looking “tops” all night long. The Nail Tek nail program allows you to move freely between all the Formulations to provide the type of conditioning and strengthening that your nails need. As your needs change, so does your Nail Tek Formulation. OPI is renowned globally for its Nail Lacquers – a brilliant, chip-resistant, professional formula available in over 200 fashion-forward colors. Whatever shape your body is in, Pevonia has a body care product that will fit it perfectly! To smooth, soothe, contour and tone, the choice is Pevonia. A natural product line that joins the richness of earth and sea with pure essential oils for visible results and relaxing aromatherapeutic benefits. Simply Smooth products use the highest quality, purest keratin derived from botanicals and human hair. Using TWO types of quality keratin increases the performance of our treatment. 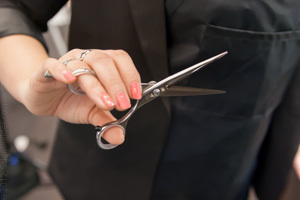 Keratin from human hair goes further into cuticle than other forms of keratin derived artificially or from animals. Keratin from botanicals have bigger molecules that sit outside the cuticle and gently melt into it. Using these two quality forms of keratin allows our formula to penetrate from the inside and out of the hair cuticle providing better smoothing performance through a natural healthier process. Simply Smooth keratin Treatment leaves hair healthy. Keratin is a natural conditioner. The gently Simply Smooth formula is also enriched with vitamins from plants, apple pulp, and vanillin. Our formula's so gentle in fact, hair can be colored or highlighted the same day. Tri Professional Haircare Products - Excellence, Integrity, Commitment. Performance is the foundation upon which our product line is built. Everything that we are, and everything we aspire to be, has been achieved through what we believe to be a unique and highly creative hair care philosophy. One that views technology as the gateway, innovation the fuel, and beauty the ultimate reward. If being all that you can be is what you desire, then TRI Professional Haircare Products will be the key to your success.